HIV is a virus that causes AIDS. 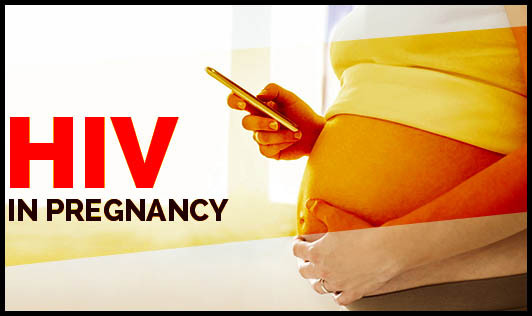 HIV in pregnancy is of concern because HIV positive women may transmit the infection to their baby during pregnancy, labor, delivery or while breastfeeding because, during pregnancy, level of the progesterone hormone gets elevated which in return increases the level of virus receptors and aids the transmission of infections. Risk of transmission of infection from mother to child can be reduced if she stays as healthy as possible and takes proper treatment of HIV with Antiretroviral therapy. Sometimes women don’t know that they are HIV positive until they conceive, in such condition they should begin ART therapy as soon as possible. ART plays a very important role in preventing the transmission of HIV from mother to child. Get yourself tested for HIV. If you test positive take HIV medicine throughout your pregnancy. If you are HIV negative but your partner is HIV positive, start taking ART. Plan with a doctor about the mode of your delivery, mostly C section is the preferred mode of delivery to minimize the risk of transmission of HIV. Ensure infants also get HIV medicine after delivery. Avoid pre-chewing food child or anyone else. Visit your doctor regularly to protect yourself and your child from HIV.